Home » » Ritualist kills 22-year-old man in Anambra, removes vital organs. Ritualist kills 22-year-old man in Anambra, removes vital organs. 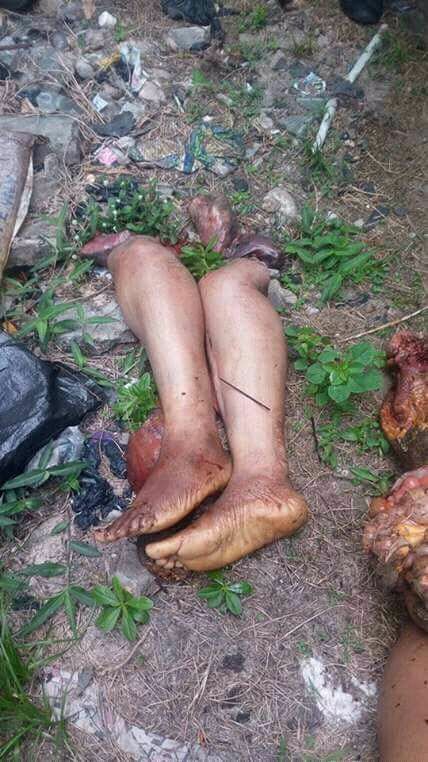 A 22-year-old man, Peter Osakwe, has been allegedly killed by a suspected ritualist. Osakwe’s breasts and private parts were reportedly removed for ritual purposes by the suspect. Southern City News gathered on Thursday that the body of the deceased was found hanging on the entrance of his room at 27B Enweonwu Street in Onitsha. The state Police Public Relations Officer, Mr Haruna Mohammed, confirmed the development. He said, “A Good Samaritan in Onitsha reported at the Inland Town Division that the lifeless body of a tenant named Peter Osakwe, aged 22 years was found hanged at the main entrance to his room at No. 27B Enweonwu Street, Onitsha. “Police detectives attached to the Inland Town Division visited the scene, photographed the victim and rushed him to the General Hospital Onitsha where he was confirmed dead by a medical doctor and his corpse deposited at the hospital morgue for post-mortem examination. Mohammed said the case was under investigation.